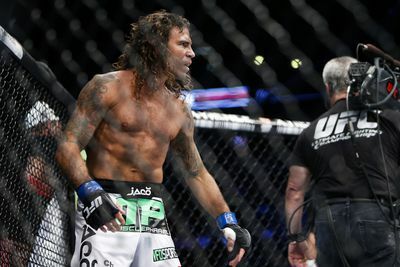 Clay Guida is ostensibly a UFC featherweight. If you want proof, just pull up the UFC rankings. There he is, listed below the Irish green and Brazilian gold, standing guard over the top-10 with his manic pressure and occasional belch. Guida is three years into this 145-pound experiment, yet for a guy who’s been around longer than the division itself, he remains strangely hard to pin down. Part of it is his own making. In the minutes after Guida earned a smothering win over Robbie Peralta in April, he seized the mic and challenged Rafael dos Anjos, lightweight’s current standard-bearer. It led to a curious sight. A fringe contender throwing down the gauntlet for the champion a weight class above. When is the last time you saw that?